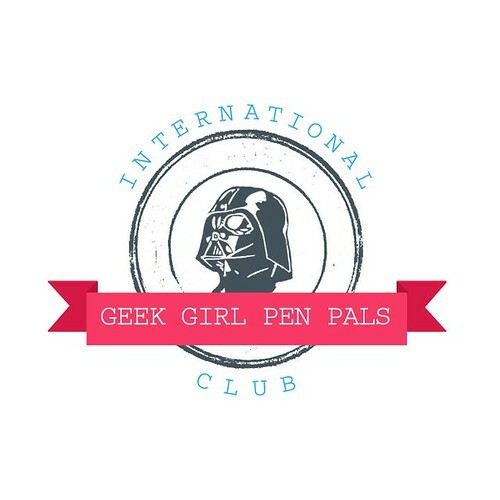 I cannot contain my excitement for this new club - International Geek Girl Pen Pals Club. Two amazing ladies (@darlingstewie and @frogmellaink) recently started up this awesome project where they will be matching up geek girls around the world to become pen pals. Back in high school I was a pro letter writer... I spent many periods during the school day writing out notes and doodling on paper with my Hello Kitty pens and pencils to then slip into my best friend's locker. 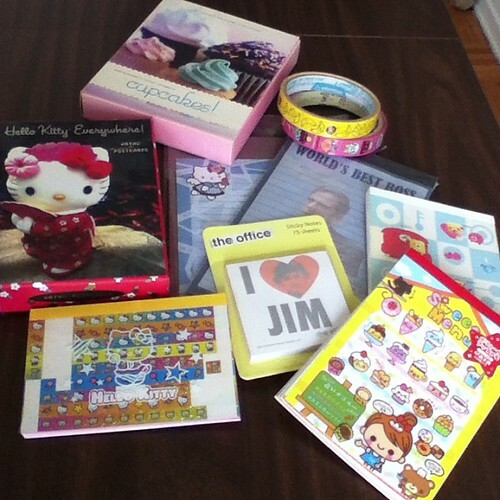 Once I hit college and started up my first blog (via livejournal), I started connecting with other crafty girls throughout the world and we created swap groups to send candy or craft supplies packages to each other. It's been a few years since I've been involved in swap groups and this new pen pal group has me beyond excited! Especially since I'll be matched up with someone with similar geeky interests as myself! This project has me inspired to put together packages to send to other online friends I have as well. Now I need to find some more fun stationary! Currently I have a ton of Hello Kitty and cutesy stationary and some items leftover from when Target had The Office stationary in their dollar section. I checked our local mall here and found nothing. So I'm planning on making a visit to the brand new Canadian Target that opened last week to find some more items. The IGGPPC is currently filled up but they will be opening up a second round at some point in the near future so keep checking the site or their facebook page for more details! And I will be posting my personal experience with my pen pal on here too. That sounds like so much fun! I had a pen pal for about five years, and it was always exciting to see what would come in the mail.